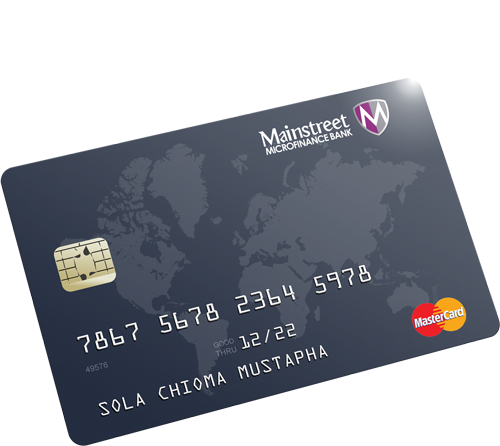 You can now make payments, withdrawals and purchases using your Mainstreet Mfb MasterCard. It gives you the convenience of transacting your business outside the banking halls. Mainstreet Mfb Debit Card is widely accepted on multiple channels and can be used for both local and international transactions. It allows you to make payments directly from your savings or current account. Kindly visit any of our branches to request for a Master card today. Linked to your funded account.